This Friday before REUNION hang out with NCW at Big Bear Cafe! This Friday at 4pm before NCW’s 2018 REUNION come hang out with NCW Heavyweight Champion The Lumberjake and “Foxy” Calvin Campbell at the Big Bear Cafe & Espresso Bar (3 Eastern Ave, Dedham, MA 02026) where we’ll have REUNION tickets, t-shirts, autographed posters, and more! In a surprising turn of events “The Dan Ram” Danny Ramirez & Makua have become the NCW Tag Team Champions! At last night’s benefit A Night for Charlene Harris “The Dan Ram” found himself without a partner to challenge the NCW Tag Team Champions The Kool People. The special host for the evening John Cena Sr. wanted to see Ramirez wrestle on event memorializing his mother, leading to DJ AC and Sammy Deleon arriving at ringside to cause some trouble. Cena took it upon himself to ban “High Class” Rich Bass from the building, and as The Kool People were prepared to strike, Makua, Danny’s former tag team partner arrived on scene to offer his assistance in going up against the fractured Cartel. PRESS RELEASE: NCW’s 2018 REUNION Returns to Dedham May 18th! DEDHAM– Friday night May 18th Northeast Championship Wrestling’s 2018 Season continues when we return to the Jacob Jones VFW Post (84 Eastern Avenue) in Dedham, Massachusetts for NCW’s 2018 REUNION! Celebrating 21 years of NCW Doors open at 7pm with a 7:30pm bell time. All tickets are $10 at the door, and available online at theNCW.com/tickets for a discounted rate. On Friday night, May 5th, Northeast Championship Wrestling returned to the Norwood Lodge of Elks to celebrate NCW’s 20th anniversary REUNION, featuring the OX Baker Memorial Cup Match, a 20-Man Reunion Rumble and “Sensational” Scott Levesque defending the Heavyweight Title against “Riot” Kellan Thomas. 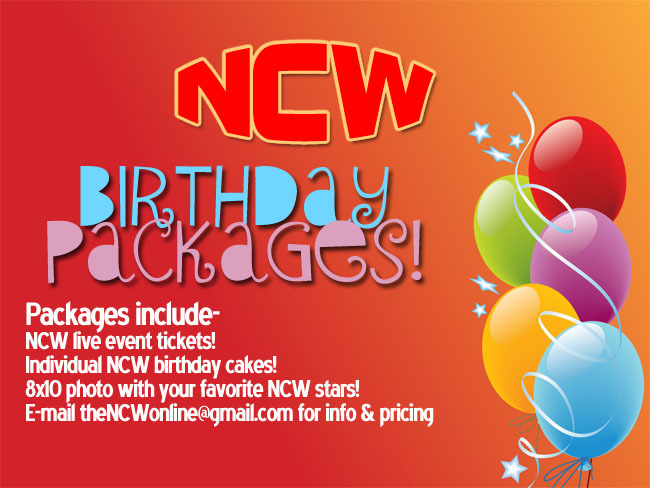 Press Release: NCW’s 20 Year REUNION Comes to Norwood May 5th! 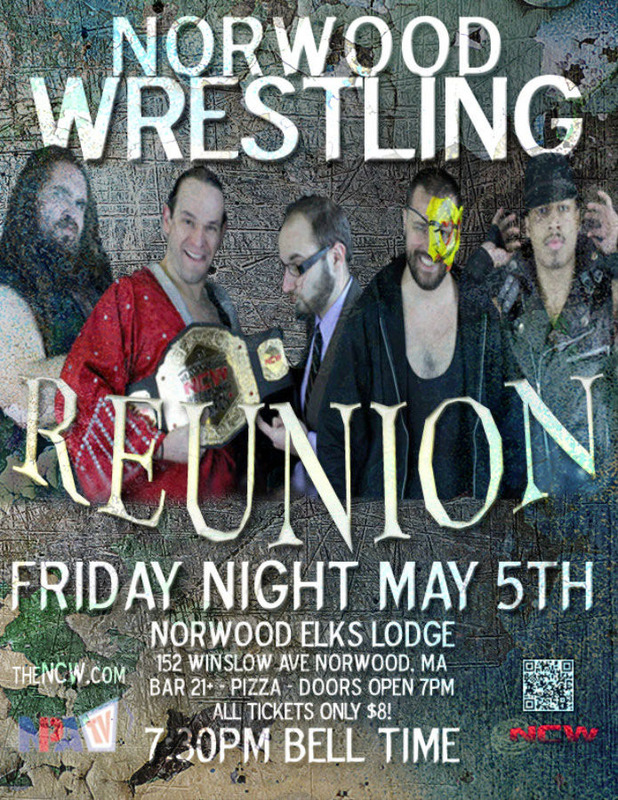 NORWOOD– On Friday night May 5th Northeast Championship Wrestling continues our 2017 Season when we return to the Norwood Lodge of Elks (152 Winslow Avenue) in Norwood, Massachusetts for Cinco De Mayo when NCW celebrates twenty years of wrestling action with REUNION! Tonight come celebrate 19 years with NCW! Tonight Northeast Championship Wrestling returns to the Norwood Lodge of Elks in Norwood, Massachusetts as we celebrate 19 years of NCW! Doors open at 7pm with a 7:30 bell time. Tickets will be available at the door, $10 for adults and $5 for kids twelve and under! For directions and event details head over to our Upcoming Events page! 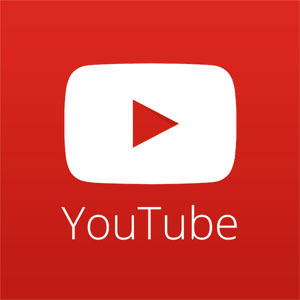 Be sure to follow us on Twitter @theNCWtweets! Use the hashtag #19yearREUNION! Like and check out the NCW Facebook page for up to the minute news!